The love story of two worlds between Bella and Edward back into 2011, but his plans film on the take from the novel to 4 belong to Stephenie Meyer will be released into 2 parts as well as the "Deathly Hallows" Harry Potter property. 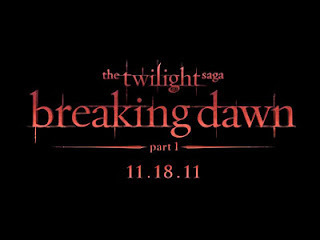 Happiness that had just been born from marriages between Bella Swan (Kristen Stewart) and vampire Edward Cullen (Robert Pattinson) suddenly foundered when so much of treason and the dangers that threaten to destroy the world they are living. Once married, Bella and Edward went to Rio de Janeiro for their honeymoon. This is where Bella realizes that she was carrying her son Edward, and when pregnancy is approaching birth, Edward finally managed to fulfill her desire for this to become "immortal". But the presence of their children this extraordinary - that is named Renesmee, even more inviting Cullen family feud with the Volturi, a leadership council of the vampire. All this will be a massive war between the Vampires. 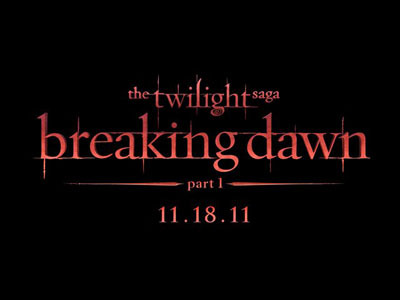 Breaking Dawn still presents Kristen Stewart, Robert Pattison and Taylor Lautner to support the film. And also the author of the novel itself, Stephen Mayer will participate to help production of film as an Executive Producer Wyck Godfrey accompany and Karen Rosenfelt.